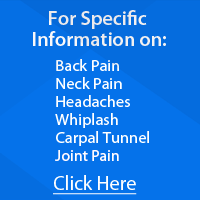 Suffering from back pain, neck pain or any other ailment? Don’t let it get the best of you. Find pain-relief now at Shelby County Chiropractic. We specialize in providing effective, safe and affordable chiropractic therapies for headache, neck pain, hip pain, back pain and more. We strive to offer clients a quick, convenient and hassle-free experience. If you are interested in availing our treatment, you simply need to fill out the following patient intake form. Please enter all the information correctly. For your convenience, you may print the form and bring it with you when you arrive at our clinic. All clients must have patient intake forms for utilizing any service for the first time. In order to save time, we request you to kindly complete the form prior to initial appointment. Shelby County Chiropractic is open for service from Monday to Friday. Adobe Acrobat Reader is required to view the patient intake form. You can view the form here.